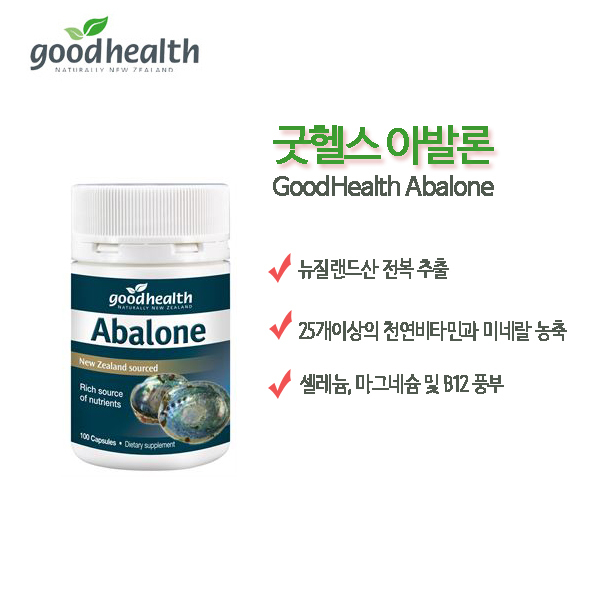 Good Health Abalone (Paua) Extract provides a concentrated source of more than 25 naturally occurring vitamins and minerals. 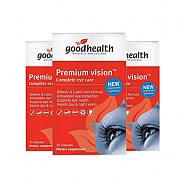 It is particularly rich in Selenium, Magnesium and B12. 굿헬스 전복 추출물은 25 가지 이상의 자연적으로 발생하는 비타민과 미네랄을 집중적으로 공급합니다. 특히 셀레늄, 마그네슘 및 B12가 풍부합니다. New Zealand Abalone has traditionally been used to support eye health and general health and vitality due to it's high nutrient content. 뉴질랜드 전복은 영양 성분이 풍부하여 눈 건강과 건강 및 활력을 유지시키는 데 전통적으로 사용되어 왔습니다. 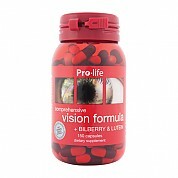 Adults take 1 to 3 capsules daily or as professionally advised. Capsules may be opened and contents added to food. 성인 하루 1~3 캡슐 섭취. 또는 캡슐을 열어서 음식에 뿌려서 섭취하셔도 좋습니다. - 해산물 알러지가 있으신 분은 섭취를 삼가해 주십시오.